Ad campaign focused on fluorescent lighting’s trait of being an inefficient “energy hog” and the startling amount of energy it uses compared to phytoplankton. This approach relied more on the shock factor. It also provides a link to the PowerStrip microsite for even more in-depth information. 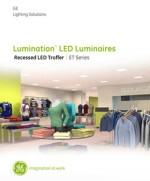 This refrigeration LED lighting product brochure reviewed the increased benefits of using Immersion RH10 LED lighting as well as the increased savings and visual appeal the product provides. This miniMax microsite employs Matchbox cars and trucks to represent the concept of a small LED that offers a big increase in the percentage of brightness over the previous product. This logo for Bearing Manufacturing Co. is a simple but contemporary design that represents mechanical bearing with the configurations of a blueprint. FridgeArt Creative was born from a need to provide clients—from Fortune 100 to start-ups—with creative, cost-effective advertising and marketing communications. With our tight-knit, budget-conscious confederation of marketing professionals, we offer you the best of both worlds—world-class creative without the world-class price. The creative forces behind FridgeArt Creative, Jeff Slater and Paul Belleau, have the proven experience in building marketing partnerships with their clients. They are both seasoned, talented creative and strategic thinkers with more than 40 years of combined experience. These marketing-savvy professionals work with a network of other creative, media and interactive professionals to generate powerful concepts that support strong, integrated, marketing initiatives. Utilizing limited resources and budget, this brochure had the product literally popping off the background and paired with intriguing copy, it cleverly invited the reader to learn more. Printed and distributed throughout the U.S. to support the “Back to Square One” ad.